Composr is not just a web application, but also a programming framework. 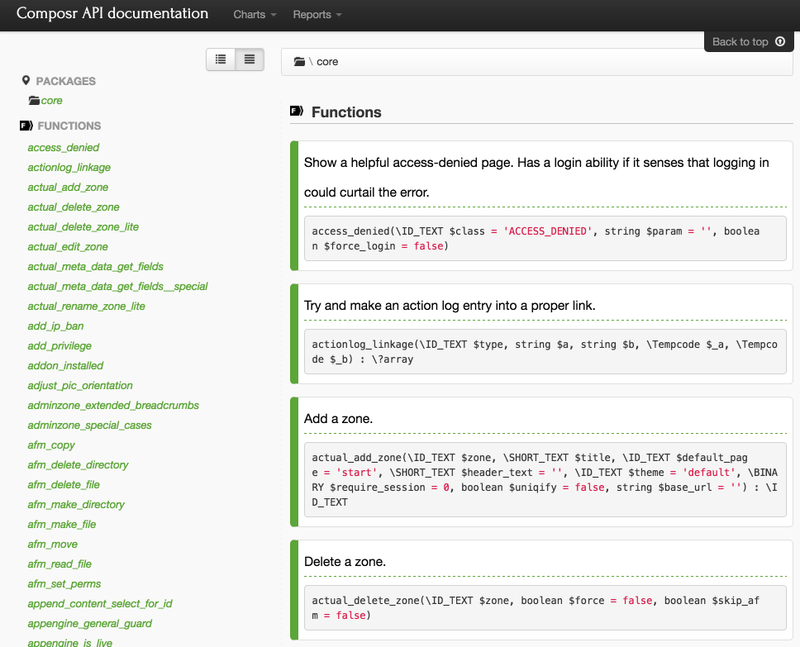 Composr defines a very large, fully documented, API, and has numerous mechanisms for the addition of code. Programmers are able to cleanly extend or override any aspect of the system, to enhance Composr or bend Composr in any area necessary. It should be noted that Composr can be heavily customised without any programming, via editing the templates, but this will mostly only adjust layout and appearance, rather than adding-to or modifying Composr behaviour. Wherever possible we make things work on a configurable level though (such as Comcode page s, or Catalogue s) so users with specific needs do not need to hire-in-help or learn programming to fulfil them for such cases. This tutorial covers day-to-day aspects of making and installing addons, especially embedding or overriding code. For a more exhaustive document describing ground-up Composr programming, see the Composr Code Book. Composr is Free Software and Open Source, meaning it's completely open and customisable. 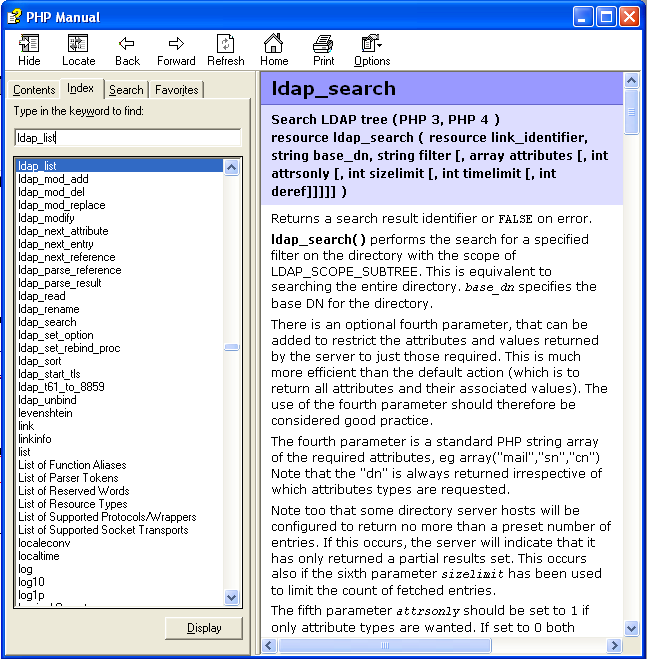 Every function in Composr is documented using a system based on phpdoc (itself based on 'javadoc'). One purpose in this documentation is that it makes it easy for a programmer to program for Composr: they have a few hundred fully documented Composr functions available to them. Of course, the actual function code is also available. 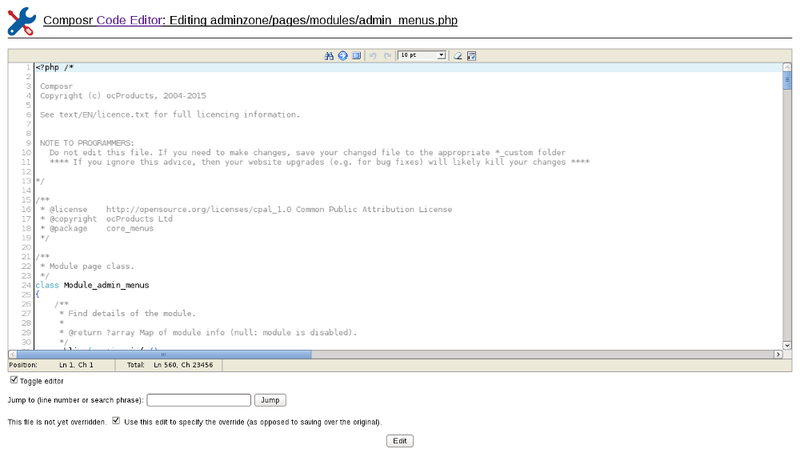 All this information is presented as a part of the API guide which is precompiled using phpDocumentor. We also have the Code Book which includes a lot of additional information about programming for Composr, and is one of the actual sources of information for ocProducts staff; it includes a lot of important and expert information, including guidelines for writing secure code. This section provides a high-level overview of Composr's core programming. Much more thorough documentation is in the Code Book. Composr is not just a lump of code like most software: a lot of effort has gone into structuring the system so that code may be cleanly hooked in, via various methods. As a part of testing ocPortal 2.5 (along time ago now), we wrote a new custom module that provided a quick way for all testers and developers to progress for the testing/bug-fixing process in a collaborative fashion. The module allowed the addition of tests, and assigning of those tests to members in a testing usergroup. It had a security system, so that non-testers could not access the system, and so that security could be defined to determine which testers had write access to edit tests. 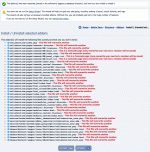 It also had forum integration, so that bug report topics could automatically be created and associated with a test. All this was done, without touching the core Composr code. 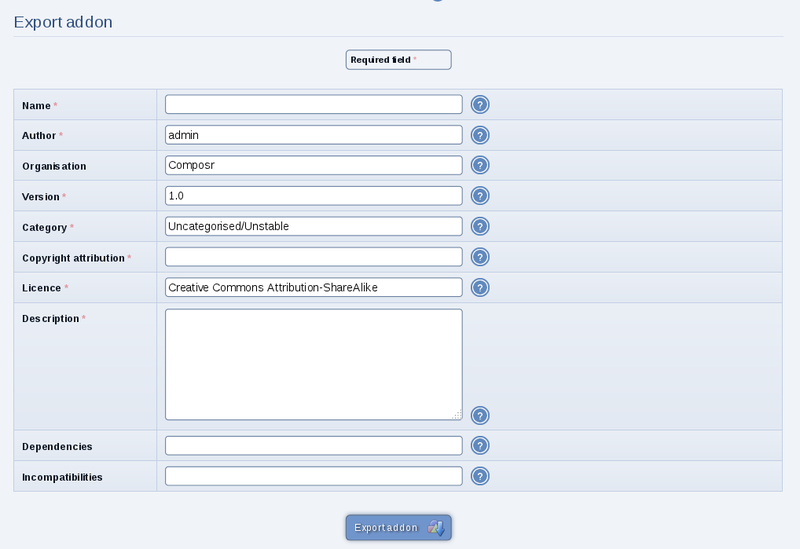 The Composr API made all the integration (security, members, usergroups, forum topics, etc) very easy. It is not the intent of this tutorial to explain exactly how this module was written, but some screen-shots have been attached to illustrate where new files were created in order for it to work. The new module, approximately 1,000 lines of code (PHP and XHTML) was completed within one long day, and in active use soon after. It is a moderately advanced module, and was of great help to our organisation. Naturally, it would take a lot longer for an inexperienced Composr programmer to create this module, but the point is that it was made a lot faster due to our API and extension infrastructure: without these, a custom application from scratch might have taken a full week to develop. The alternative to a custom module would have been a third party application, but this would not have provided us with the level of integration we demand for our systems (not to mention compatibility with things as they are currently, and how they might change in the future). Professional developers are available for implementing systems built around on Composr (as third party developers may be also). I'm sure you can see why such a function library (and the pre-written subsystems that exist behind them) speeds up development considerably. 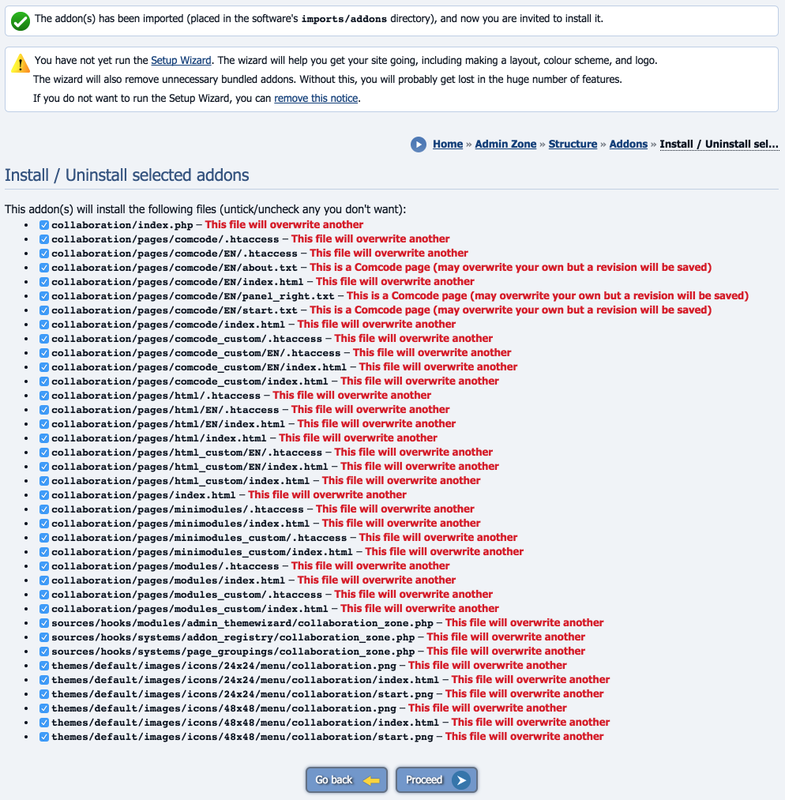 All this is built into Composr by default, so no libraries need hunting down, installing and managing to achieve all this. It's important to note that as well as overrides you can place entirely new files in the *_custom directories, and Composr will be able to reference them as if they were original files. All these techniques are handled inside the Composr sources/global.php file. 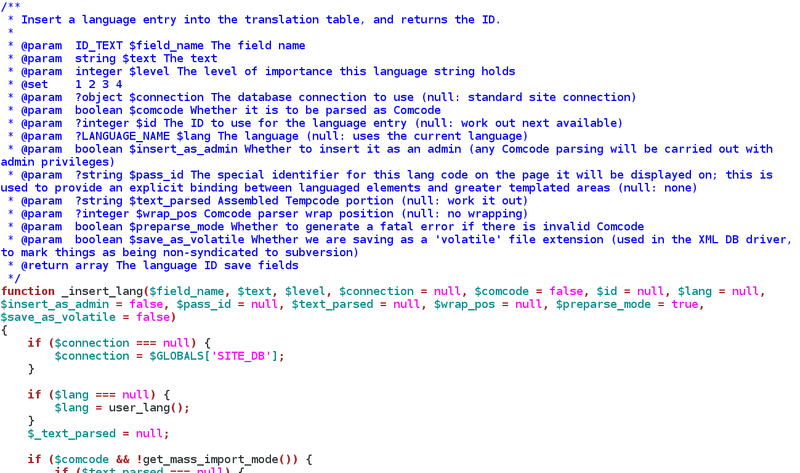 If you are a good programmer but still can't work out how to do all this stuff (it's easy once you know how, but a bit unorthodox compared to normal techniques), look at the code of this file. As sources/global.php is the file that does the magic it's the only file that you can't override; it is therefore kept minimal, hence why we have a sources/global2.php which picks up where sources/global.php leaves off. This is a great technique for making changes to forum drivers. If your override contains every class or function the original file has (i.e. you overrode the whole file by copy&pasting) then the original init function will not be called as Composr assumes you copy&pasted all that code into your own init function. If you want a partial override but don't want the original init function to run, you need to use programmatic alteration to mask the original init function. This is explained in the last paragraph of the next section. Sometimes you want to override something in the middle of a function and thus there is no neat way to do it without copy&pasting the whole function. We took approach '3', and thus have written a special feature into Composr for it. Its admittedly a bit messy but in practical terms it works almost flawlessly. There is one important rule when it comes to programmatic alteration: you are not allowed to call non_overridded__init__<whatever> from your init__<whatever> function. You cannot do this because the PHP code containing that function has not been evaluated at that point and thus the function is not yet defined. If you try and do it then Composr will disable programmatic alteration and hence revert to the more basic 'Replacing/supplementing a file' technique. Composr will automatically call non_overridded__init__<whatever> as soon as it becomes available so you do not need to copy&paste its contents to your own function. If you do not want non_overridded__init__<whatever> to be automatically called then you need to rename it in your own init function so that Composr cannot find it. 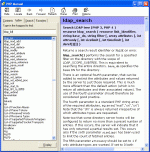 Composr addons are TAR files which include a special definition file. They may be constructed manually if an author wishes to have more control over the construction process. You will only be able to export files into an addon from directories that are 'allowed' to contain new or modified files. 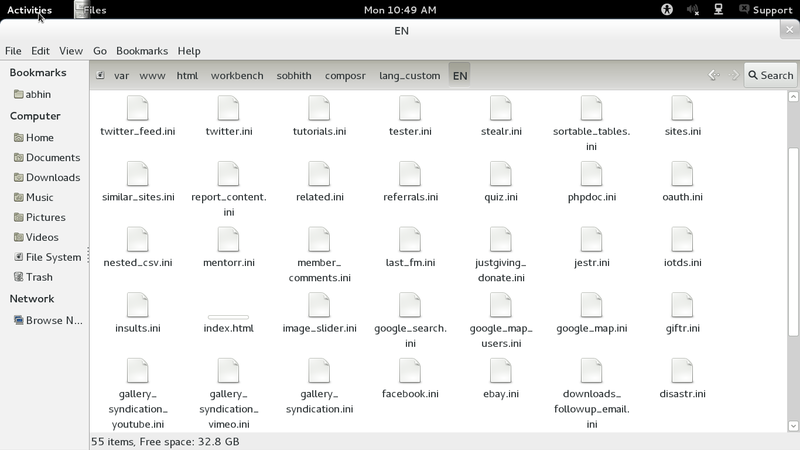 For example, the sources directory should not be modified, but the sources_custom directory may. This is part of the file override system Composr employs: modified versions of old files or entirely new files should be placed in the custom version of a directory so that it is clear they are non-original, and will not be automatically overwritten during upgrade. There are a few directories that have no _custom equivalent, and therefore you may export files to a mod from these. Overridden PHP files may override on a per-function/per-class level. In other words, if you overrode a PHP file then you could make your sources_custom file such that the only functions/classes it contains are the ones that you changed. The date/time of the exported addon TAR file will be the date/time of the most recent file within it. Composr provides a very simple code editor for editing of existing Composr code files, or creation of new files. The code editor has inbuilt, automated, support for the Composr file override system: editing an original Composr file will save the edited version in the equivalent _custom suffixed directory where possible. Access the code editor from Admin Zone > Tools > Code editor. The code editor is very useful for making ad hoc changes to a live-site, but is not intended as a full development environment. It is beyond the scope of the Composr documentation to explain how to program in PHP (although we do have a stab at it in the Introduction to programming tutorial), or other languages that are used such as SQL or HTML. PHP includes an excellent reference guide, and there are many good tutorials on the web for HTML. Composr uses a very minimalistic form of SQL, and usually code does not need to use any directly, due to our database abstraction functions, so this should not be a problem. The Composr API guide does actually include a PHP reference that defines a subset of PHP that we allow ourselves to use in Composr. The subset is specially limited so as to avoid PHP version conflicts, and the need for PHP extensions that may not be installed. There are many frameworks for creating web applications available (such as Typo3 or Ruby-On-Rails), but few true frameworks like Composr are also 'out of the box' systems. In addition to the above, few pure frameworks provide the dimensions of functionality that Composr can provide. The template system is written to make XSS injection virtually impossible (where the vast majority of programmers write code that is full of XSS vulnerabilities, without even knowing what they are). Application Programming Interface: functions in libraries (in Composr's case, files under sources/) intended for common use by other code.